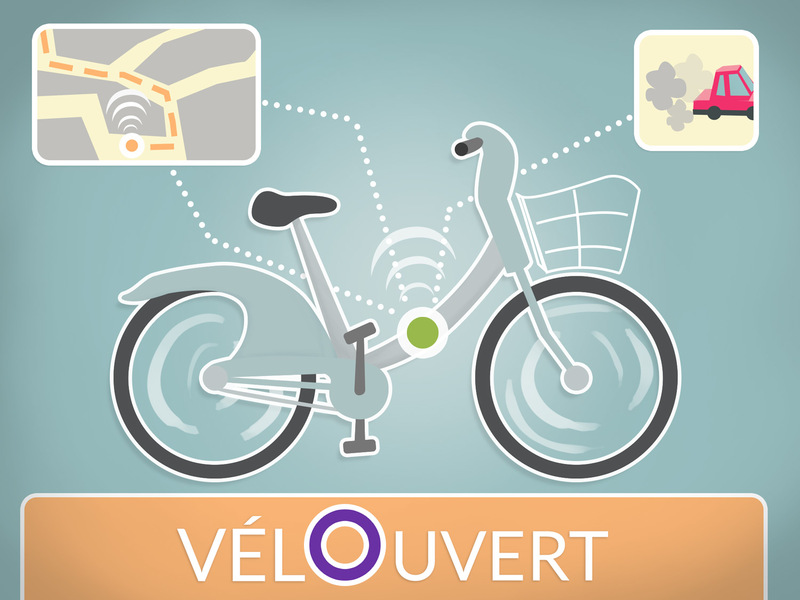 VélOuvert’s goal is to increase the ease of use of the Vélib bicycle rental system while also giving citizens and local goverments more knowledge about how people use bicycles in the city of Montreuil. By equipping all the Vélib bicycles with a GPS sensor and a NO2 probe, we can get insights in the routes cyclists actually take and we can measure the quality of air on a street level. Using this data we can create a better route planner for cyclists, that allows cyclists to choose the fastest route, the most comfortable route (using height data) as well as the most healthy route (using NO2 data) while getting around the city. 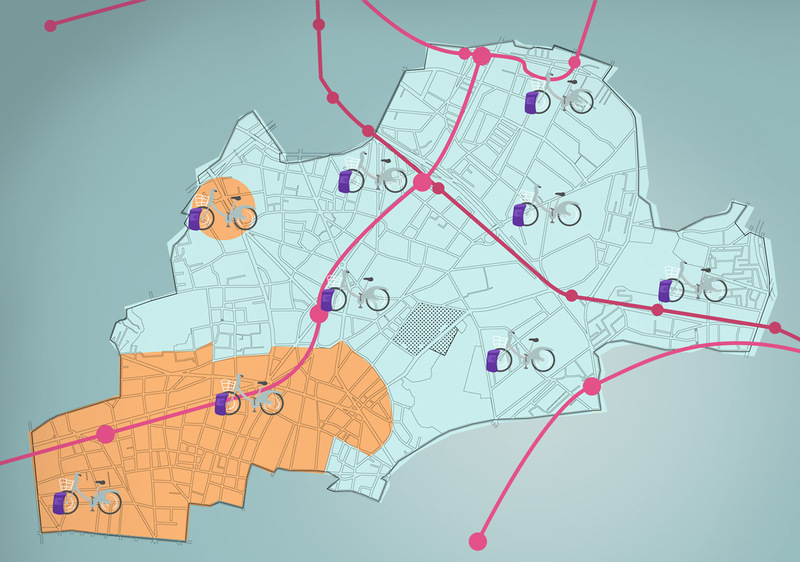 The city can use the data to prioritise improvements in bicycle infrastructure based on which bicycle routes in Bas Montreuil are most heavily used, while also learning about cycling habits. Using this knowledge, the city will also be able to take well informed decisions when creating a bicycle infrastructure in Haut Montreuil and Les Ruffins to match with the new tramway and the expansion of the metro lines towards 2018. By publishing the gathered data as anonymised open data, not only the administration of Montreuil will be able to profit from these data, but citizens as well. 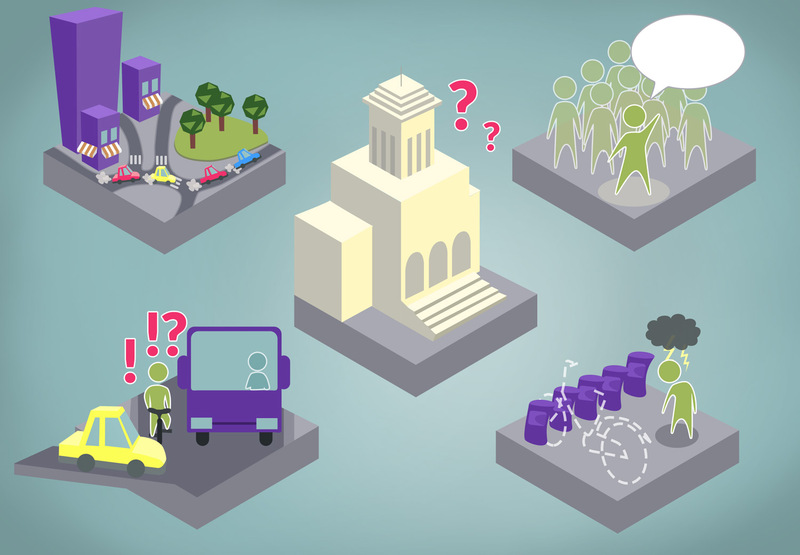 Citizens interested in making a suggestion for the Budget Participatif for example, can use the data to support their projects.